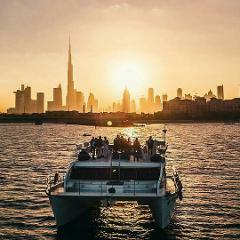 Cruise through the new Dubai Canal on a spacious and air-conditioned catamaran! Sail under beautiful new architectural marvels and of course the lit up waterfall bridge that opens as you sail through it! 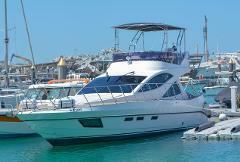 *New Launch* Super Wide and spacious catermeran yacht! Plenty of space for 50 guests! Multiple areas for entertainment! Plenty of space and both inside and out. Use for Events and Sight Seeing! 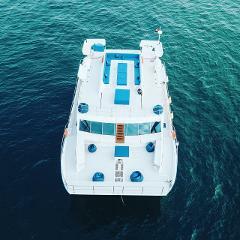 Open Boat - Up to 10 People! 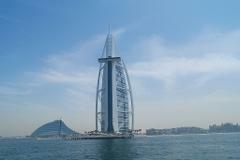 If you want to enjoy a cruise around the Dubai Waters, this trip is for you. See the Burj Al Arab, Palm Island, Atlantis & More! Designed with sophistication and luxuriousness, this yacht has 2 bedrooms with 2 bathrooms. It has a fly-bridge where you can enjoy the panoramic view of the ocean, a fully equipped kitchen to serve your appetite. Party this Wednesday 17 April 2019! Includes, the party, food and a live DJ!